We are fortunate enough to farm in Tasmania’s healthy environment, allowing us to raise salmon and ocean trout in locations in which they thrive. From the time our fish start their life in hatcheries, up until they are harvested, their environment plays a vital role in their health, growth and quality. When our fish are put to sea, they are grown in three marine regions: Huon’s traditional home – the Huon and D’Entrecasteaux Channel; the unique Macquarie Harbour; and offshore in Bruny Island’s Storm Bay. 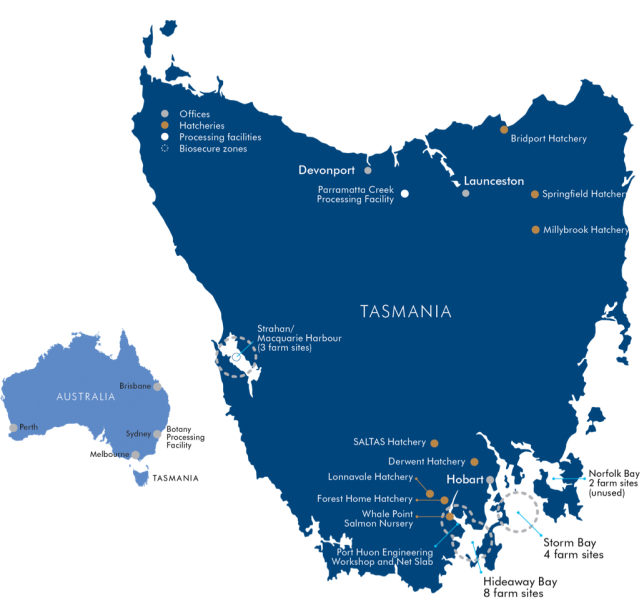 The map below shows all of Huon’s marine farm, hatchery and processing facilities. 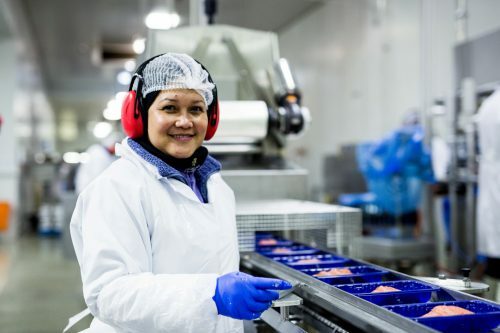 Huon is a fully vertically-integrated company, meaning that we do everything from selectively breeding brood stock for egg production, to processing salmon ready for your plate. We have a number of hatchery locations around Tasmania in the north east and south which enables us to take advantage of different water sources and environmental conditions. The hatchery is where it all begins for our fish and we are continually improving our practices to care for them from the moment the eggs are hand-milked from the brood fish, through hatching, to alevins, to fry, to parr and then to smolt (young salmon), when the fish are ready to go to sea. 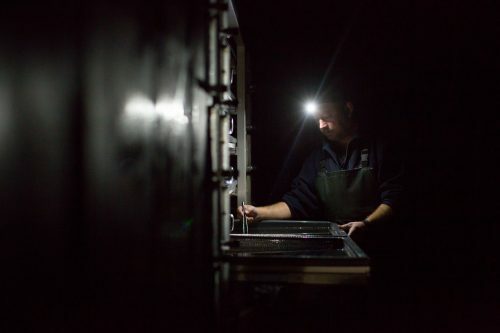 The conditions in the hatchery allows us to mirror the natural life-cycle of salmon, as well as allowing us to naturally synchronise growth in a way that means we can get fresh, healthy fish to your plate all year round. Growth is synchronised by varying the temperature of the water we hold the eggs and small fish in. Some of our hatcheries including Forest Home at Judbury have full recirculation system. That means we reuse 95-99 per cent of the water we need, allowing us to ensure that the fish live in optimum conditions and will go to sea healthy and in peak condition. The small amount of water exchanged in the hatchery each day gets used in other areas of the farm through composting, land spreading and irrigation. At Lonnavale, in addition to the recirculation facility, we operate a flow-through facility which holds a small number of brood fish held at low density for breeding purposes. The facility is routinely monitored under the guidance of the Environmental Protection Authority and is regularly audited against strict environmental standards. At Whale Point in Port Huon, we have built Australia’s first onshore salmon nursery. 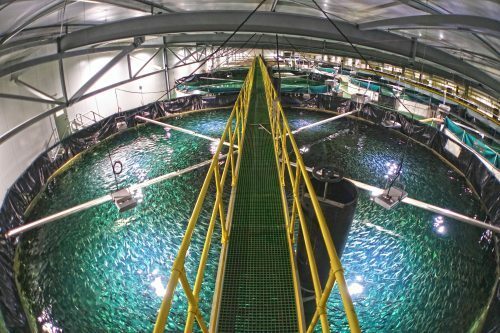 Within the facility we will grow fish larger on land before transferring them to sea. This will reduce the time they spend at sea from 14 months, to less than 12 allowing us to better manage our existing leases, reduce our environmental impact, reduce the potential for marine debris, improving fish performance and minimising the risk of predation. The nursery uses world-leading water recirculation technology that purifies up to 98 per cent of the freshwater in which the fish are grown. This enables 98 per cent to be reused and repeatedly treated over and over again with 2 per cent going to waste treatment. Our fish are gown in three marine regions: Huon’s traditional home – the Huon and D’Entrecasteaux Channel; the unique Macquarie Harbour; and offshore in Bruny Island’s Storm Bay. The location of each lease can be found on our Sustainability Dashboard. At Hideaway Bay, Dover, you’ll find where Huon Aquaculture began. 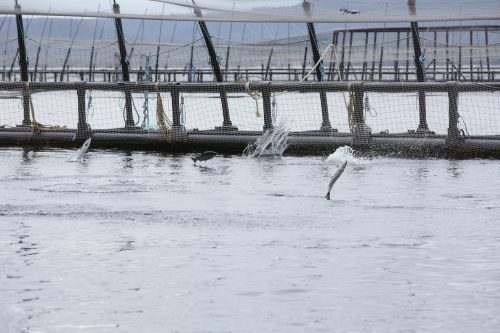 Peter and Frances began salmon farming here in 1986 with one pen of trout and a single employee. Today, Hideaway Bay operates as the shore base for operations in the State’s south. Hideaway Bay is also home to a series of square harvest pods where fish are held when they are ready for harvest, a state-of-the-art harvest system that takes advantage of salmon’s natural instincts to swim against the current, and Australia’s only dedicated fish feed trial. While we don’t currently offer farm tours to the public, it is something that we are looking into. Located in the mid-west of Tasmania just below Strahan is Macquarie Harbour. The Harbour is important to our operations as it is a unique mix of fresh and salt water. These conditions are favoured by our ocean trout as they are intolerant to straight seawater. Our Storm bay lease has the roughest farmable waters in the world with swells of 4-6 meters regularly rolling through the pens. While these conditions may turn some people green at the gills, we have found that fish enjoy it as it closely mimics their natural habitat. Our processing facility, Parramatta Creek is located in the north of Tasmania, approximately 20 minutes out of Devonport on the Bass Highway. The facility houses our state-of-the-art smokehouse and product innovation centre. All of the salmon and ocean trout that we produce each year is processed here before going to market.